I am proud to announce that today I am a guest designer to Frosted Designs and I have made an interesting card using their sketch #6. As this week Frosted Designs is sponsored by Digi Doodle Shop, once again it was wonderful to use their beautiful images - this time sleeping little mouse Cecil. 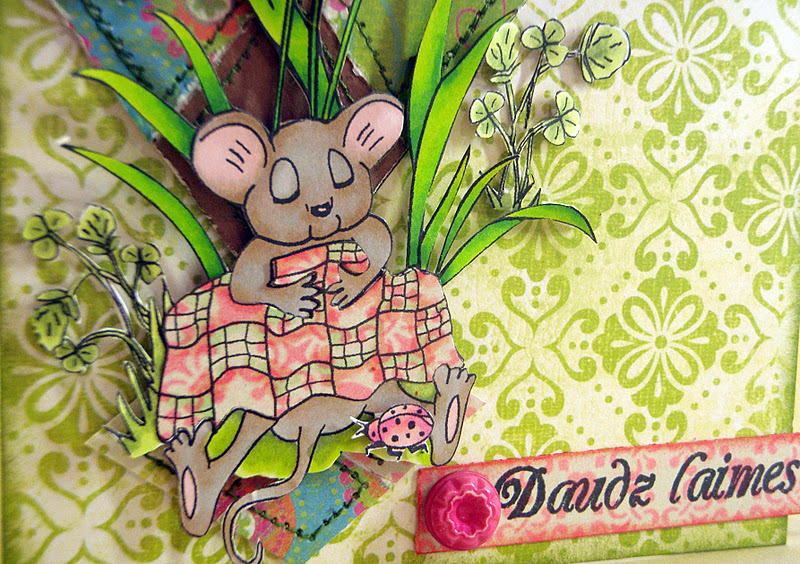 I found it very matching for this sketch and mouse's tiny quilt. 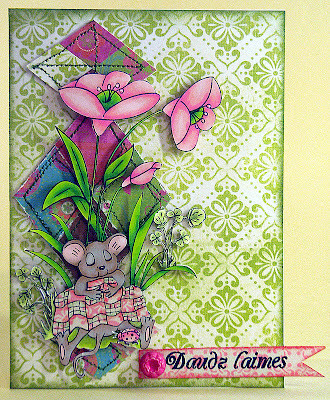 I used lots of my scrap patterned papers and made sort of quilted diamonds to go under my image - lots of paper piecing and machine sewing (how very rare for me :). As usual, image is colored with ProMarkers and then hand cut. I also paper pieced her blanket and did some little shading there as well. Oh my word Liva this is absolutely beautiful wow, I love it.